Date of printing from Amazon.com as of 2012-10-16. First trade paperback printing per the numberline that is found on the copyright page. Martin H. Greenberg's name is not found on the title page or the cover, but he is given credit on the "About the Editors" page. Only the story by Laymon has any speculative content and is listed. 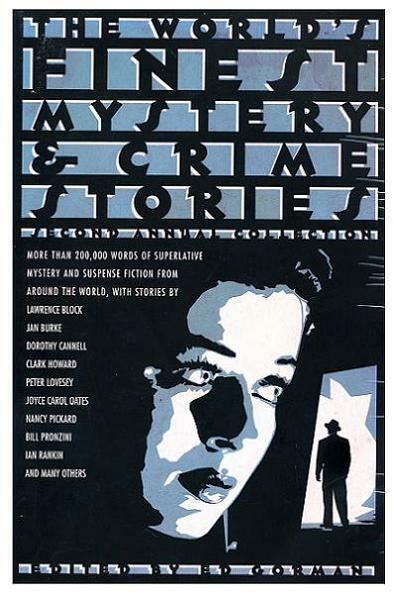 Anthology also contains non-speculative stories by Kristine Kathryn Rusch (2), Brendan DuBois (2), Donald E. Westlake, Peter Crowther, Edward D. Hoch (2), Lawrence Block, Mat Coward (2), Stuart M. Kaminsky, Nancy Pickard, Jan Burke (2), Robert J. Randisi, John Lutz, Doug Allyn, Joyce Carol Oates, Bill Pronzini and Ed McBain, all of whom have speculative fiction listed on this site. Also contains an extensive non-fiction section.